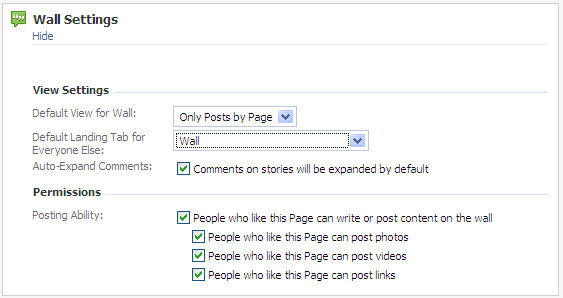 Raise your hand if visitors to your Facebook Fan Page see your Wall comments when they arrive at your page. Now raise your hand if visitors see a well executed welcome page (and no, the Information tab does not count as a well executed welcome page). If your visitors see a well thought out welcome page, then this post isn’t for you. If you’re wondering how you can get your Facebook page to default to a tab other than the Wall and how you can use this functionality to keep new fans or customers, then this is the post for you. With FBML and a few Wall settings, you can turn your Facebook page from a social media dumping ground into a fun (or serious) extension of your brand. Create your welcome page. Depending on the service(s) or good(s) you’re providing, your welcome page can include a brief introduction about you or your site. It can provide instructions for where else on your Facebook page visitors can get good deals, chat, download coupon codes or buy your products (Starbucks’ fan page does a good job of this). 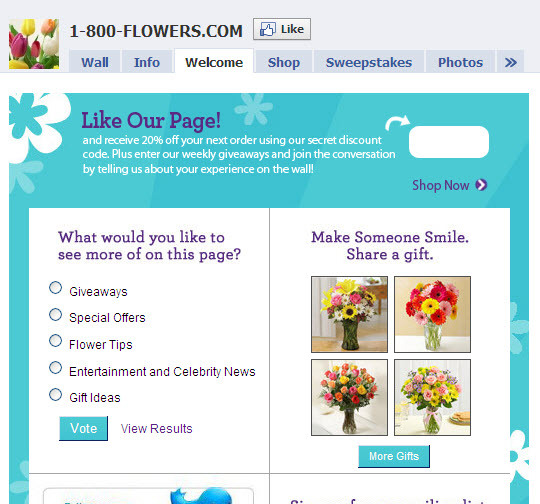 You can also point visitors in the direction of products they can purchase or how to connect with you in other ways (1-800Flowers.com fan page does a good job of this). Your welcome page will need to be created in HTML (which is what FBML supports). If you’re not familiar enough with HTML, you can consult with your website designer or use one of the Fan page templates available online. 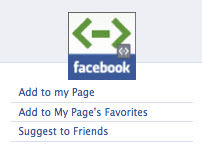 Add the Static FBML application to your page. (Click on the link to be taken to the page). A window prompt will ask you which page you’d like to add the application to. Select the page you’d like to add the app to. Adjust the FBML Application. Once you’re back on your Facebook Fan page, you’ll need to find the “Edit Page” selection (usually directly under the image you have set for your site). Once you’ve arrived at your list of page applications, find the FBML Application and click the “Edit” option. Change the name of the Tab. It will default to FBML; however, you can change it to something like “Welcome,” “Who We Are,” “Discounts,” etc. Paste your HTML code in the box provided and click save. Once you’re back to your fan page’s edit page, click on the Application Settings option in the FMBL box (now called whatever you named it in the step above). Application Settings allows you set the your FBML up as a box and/or tab on your page. If you select Tab, it will stay as a Tab on the top of your page. If you select Box it will not. Now that you have your FBML set up, you’ll need to make your new welcome page the default landing page. To do this, head back to your page’s Edit page. Find Wall Settings and click Edit. You’ll be given a number of options that you can select. To make your new FMBL page your landing page, select the FBML page you created. Once you’ve made your selection, hit save and voila. You’ve just created a new and improved landing page for your visitors.